"Having a great coach who you're in daily contact with has made a massive difference. I set a goal at the start that was always referred to throughout my time with Sustain. Joe has been fantastic! Feedback was way more than I expected, it's not just about food but finding a training plan to suit me." Thank you Sustain Nutrition! I cannot recommend these guys enough! This has never been about weight loss, I’m heavier now that when I started but when your kids tell you they’re fed up eating pizza you have to look at how poor your diets become. I was really cyclical about signing up to sustain nutrition. 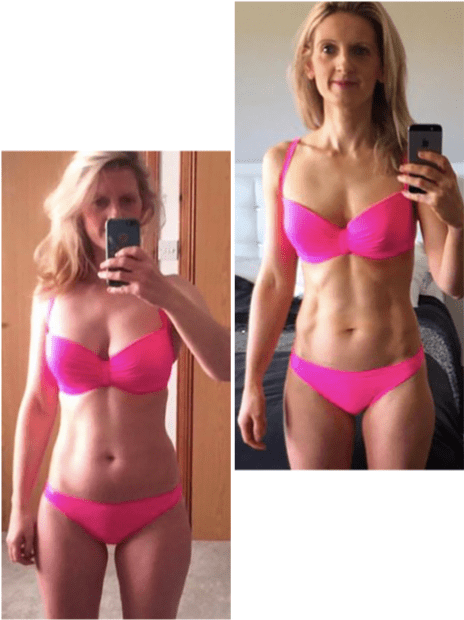 I’d finished another 90 day plan and I was tired of weighing food, hated the high rep weights had no idea about the training and was given macros with no clue what to do with them and no support to learn. I’d learned very little other than how to follow 3 recipes a day. It didn’t work for me and I was back to toast for breakfast in no time. I joined the sustain nutrition support group and asked loads of questions. I really didn’t need another 90 day plan that would leave me feeling the same. I wanted to eat better, get back into exercise and I was convinced by the group members to give it a go. I’m so glad I did! There’s no weighing, tracking or following recipes. It’s been great to get back to family meals. Having a great coach who you’re in daily contact with made a massive difference. I’d set a goal at the start and that was always referred to throughout the time with sustain. Joe has been fantastic! Feedback was way more that I thought it would be, it’s not just about food but finding a training plan to suit me, daily encouragement, loads of advice and breaking the bad eating habits! I’ve lost count how many times we’ve changed/tweaked what I’m eating to suit my training. I’ve realised I don’t work well with carbs and a high fat low carb approach suits me much better. Everything has been done to suit me, Ive never felt like I’m 1 of 1000 clients getting the same reply, it’s been a really personal response every time. There was no pressure to even exercise, just get to grips with the food and find something you like. The physical change is fantastic, I feel great and have way more body confidence, but the change in mindset is even better. I’ve learned so much along the way. Ive joined a gym, followed the sustain training plans and I love lifting weights! I’ve just signed up with a PT to push me further.